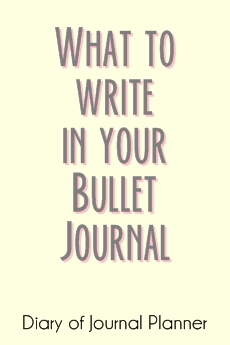 If you have been into Bujo for a little while then you probably already have quite a collection of bullet journal pens. Of course, if you are anything like myself and my other stationery fan friends you can never have enough journaling supplies, especially journaling pens! 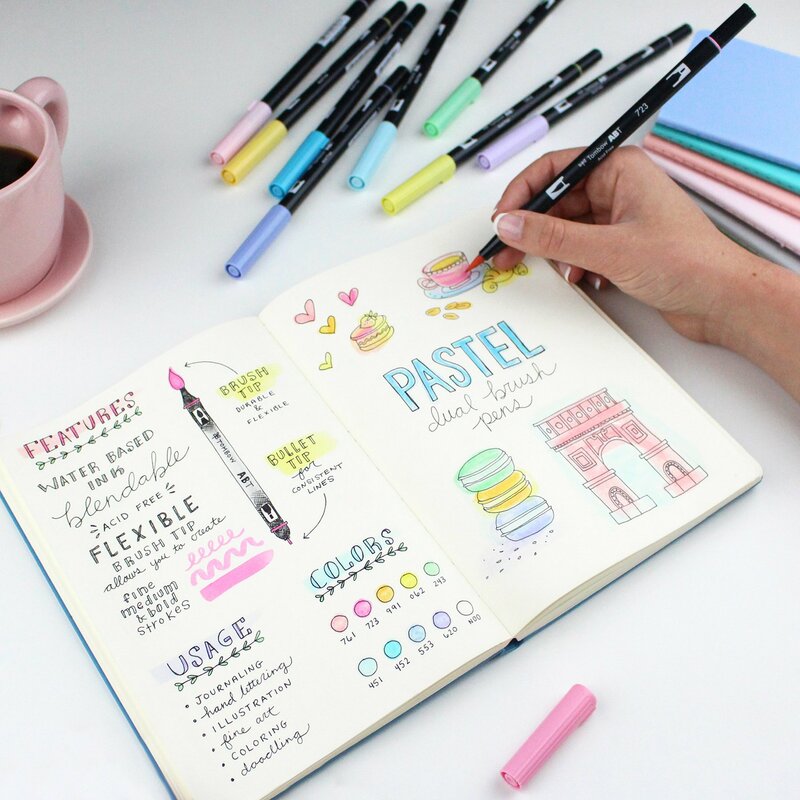 For those that are new to Bullet Journalling, it can be overwhelming to find the best pens for journaling. You might have heard of people talking about ghosting and bleeding and have no idea what exactly they are (other than sounding like you just walked into a Horror movie convention), or what they have to do with pens. I’ve tried to make this guide to suit both the bujo novice and those that are looking to add just one more pen to their extensive collection (well, that’s what I always tell myself anyway). 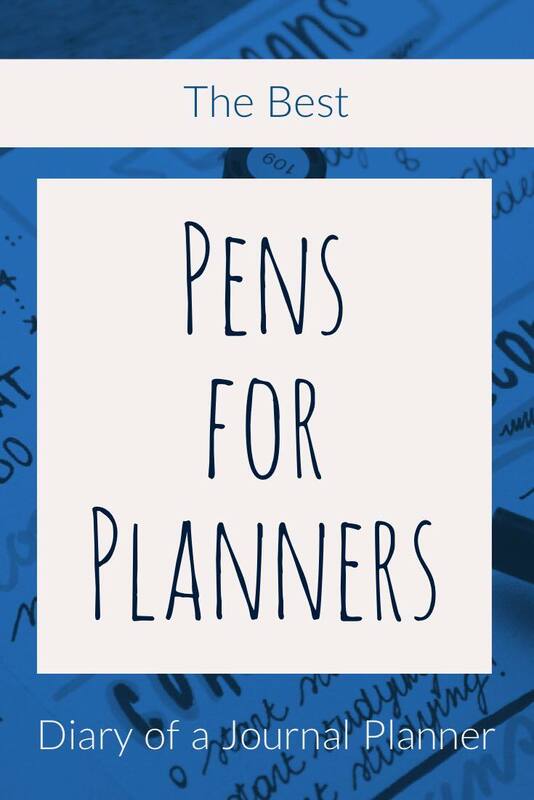 I hope you find this list of best pens for planners and bullet journals helpful. If you have a favorite that I haven’t included, I would love for you to get in touch and let me know. 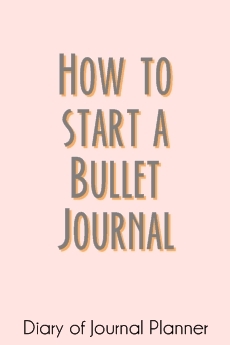 I am always on the lookout for the best bullet journal supplies.! Here is my DIY Desk Organizer Makeover to store all your supplies! 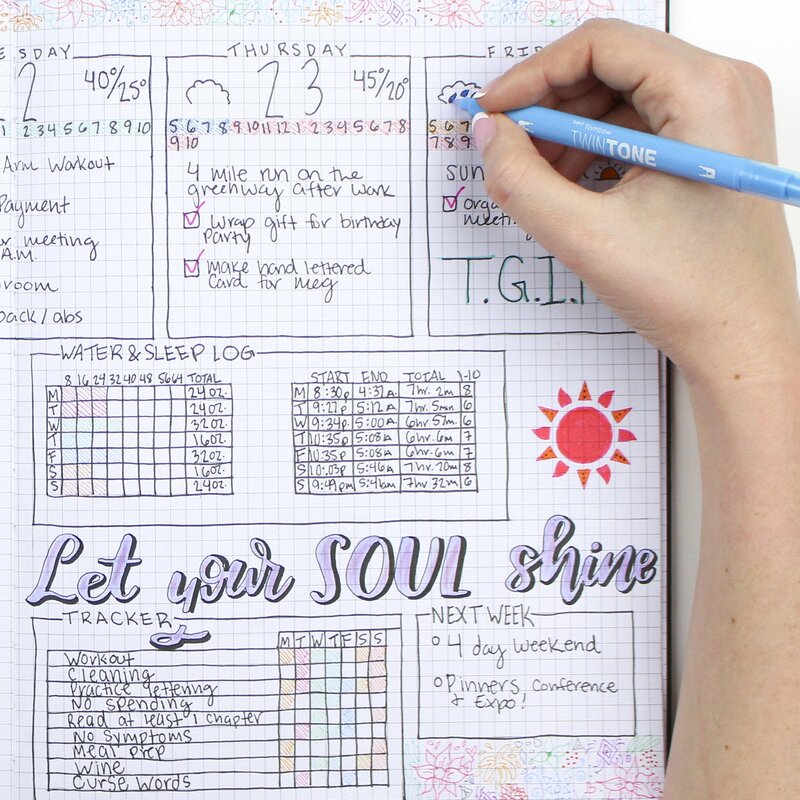 Before you get too excited about buying 10 of the best bullet journal markers ever, I just wanted to remind you that Bullet Journaling is more than having the perfect stationery. Granted, a lush pen does make journaling more fun and enjoyable but it won’t make you stick to a bullet journal system. The good news about this is that choosing your bullet journal supplies doesn’t have to be stressful. That amazing washi tape isn’t going to make you a better journaler.Only your mindset and daily practices will do that. So, with that in mind, have fun picking stationery! It will all be trial and error to find what you love to use and makes your bujo journey more joyful. When we talk about pens bleeding, we mean that the ink from a pen soaks into the paper. This often ruins both sides of a page and makes it difficult to read. It’s hard to say that you can find the best pens that don’t bleed because it is a combination of the paper and pen that causes bleeding. A pen might cause bleeding in one paper and not in another. The difference lies in the paper thickness and the ‘protective layer’ that may exist or not in a paper. The best way to prevent bleeding is to use good quality paper along with good pens for bullet journaling. 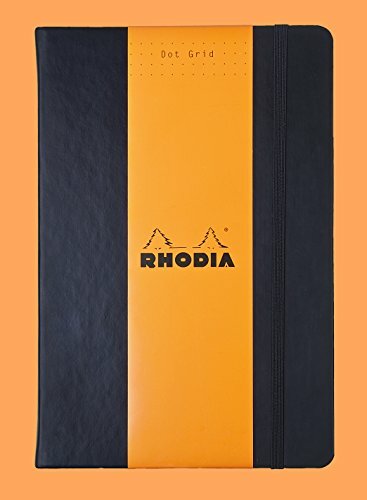 One of my favorite journals with amazing paper quality is the Rhodia Bullet Journal Dotted Notebook that you can get here. 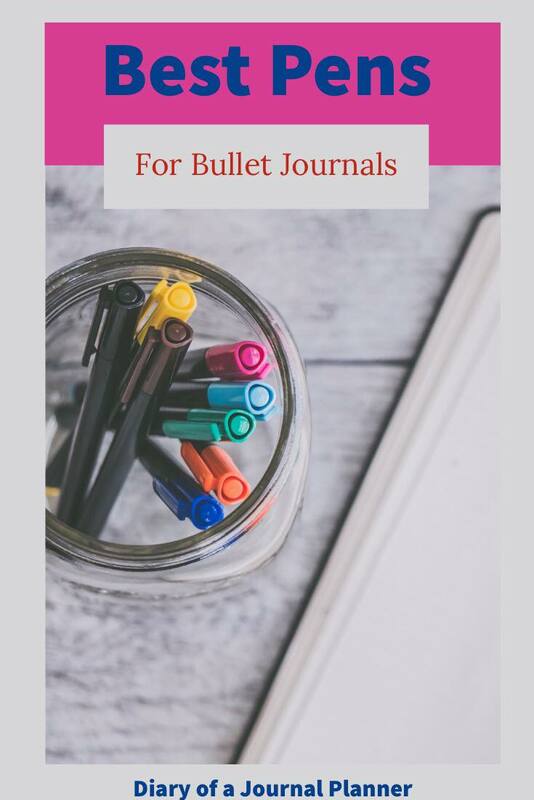 For other Journals and notebooks head over to my post on my favorite Bullet Journal Supplies. Ghosting is less of a problem than bleeding and is where you can faintly see writing or doodles through a page. Again this can be minimized with good quality paper and pens that don’t bleed through paper. However, avoiding ghosting completely is almost impossible unless you use notebooks with very thick paper and hardly ever plays with colored markers what is the fun in that? So read on for our tips on best pens for your journal or planner. The Pigma Micron ink pens are the best black pens for bullet journal doodling and drawing. 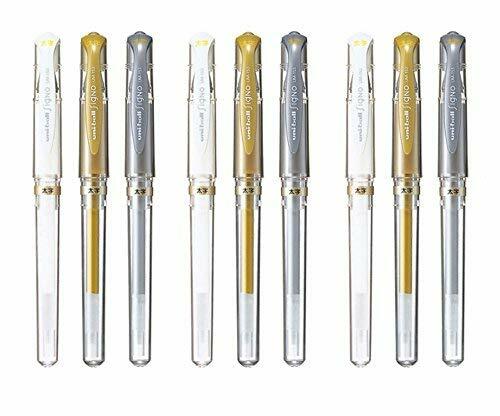 They are filled with archival ink pigment which is waterproof, therefore these pens don’t bleed through the paper or smear with highlighter markers. It is my absolutely favorite, I don’t function without these pens! 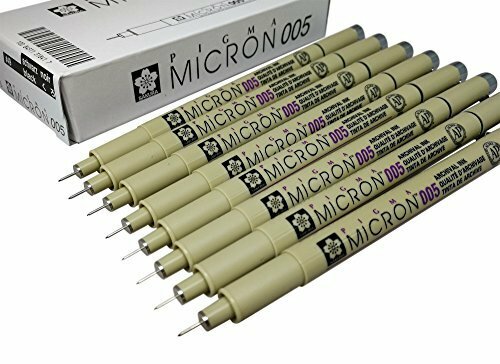 Get your Pigma Micron pen here! Another great investment for good quality felt tip pens are Tombow Fudenosuke Brush Pens. They are beautiful to use for lettering and headers. I also love how they are great art pens that don’t bleed when you use other pens with them like watercolors. Get the two pen set here! The good news when you are looking for markers that don’t bleed is that they don’t have to be expensive. 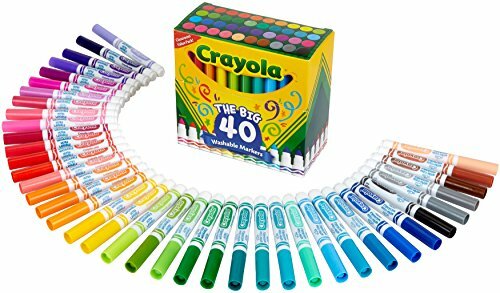 These Crayola pens are perfect for adding color to your journal and are fun for Bullet Journal fonts. 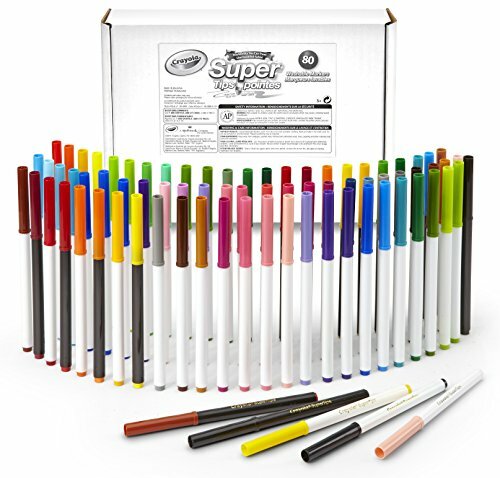 Click to find a great price on Crayloa pens here! 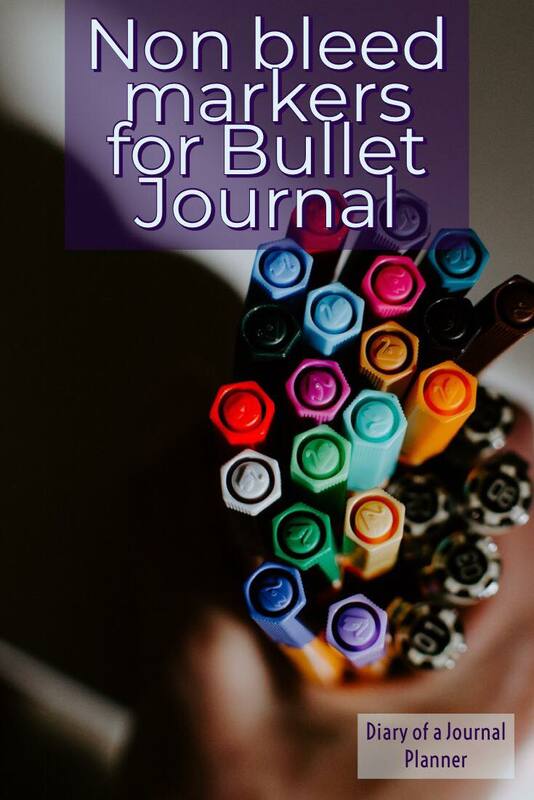 Another great option are Crayola Supertips for bullet journal. 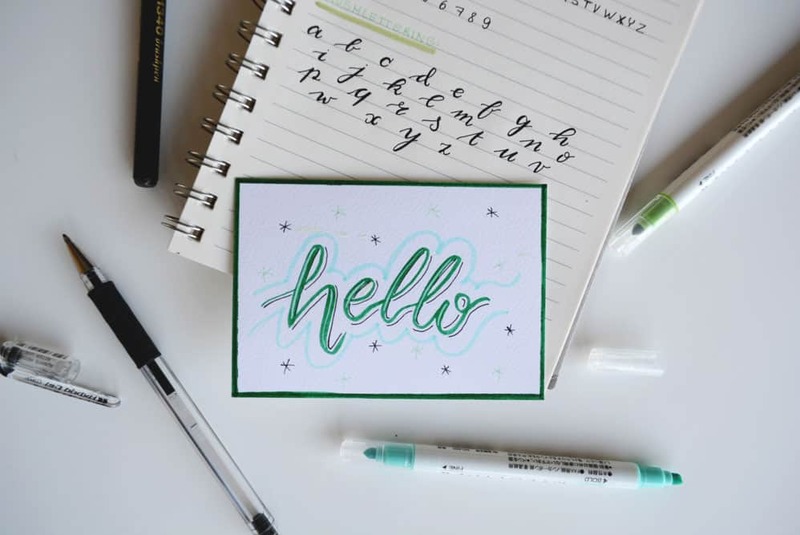 They are finer than traditional markers and can also be used to do brush lettering. See all the great colors you can choose from here! 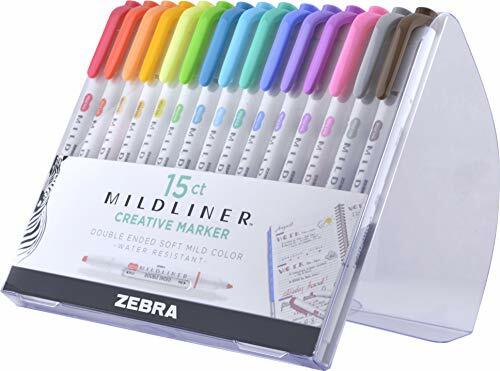 Finding the best colored pens for journaling is a personal choice and very dependent on the journal you use and the paper quality of the book. 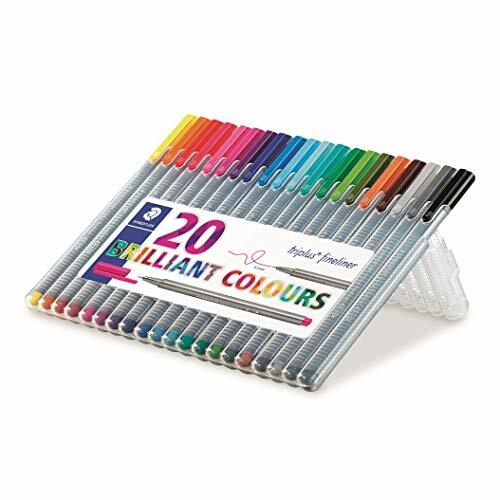 These Stabilo 88-point, 30 pack are a popular choice. Get your Stabilo pack here! 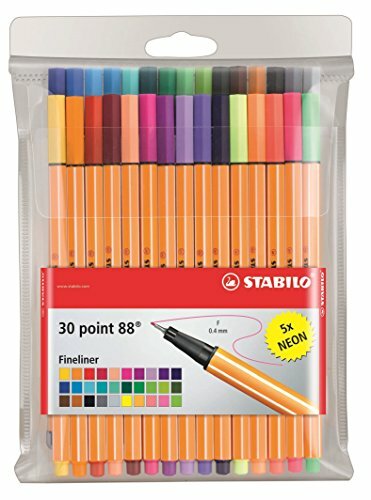 Another option for best colored fineliners are Staedtler Triplus Fineliners as they are colored pens that don’t bleed through paper. 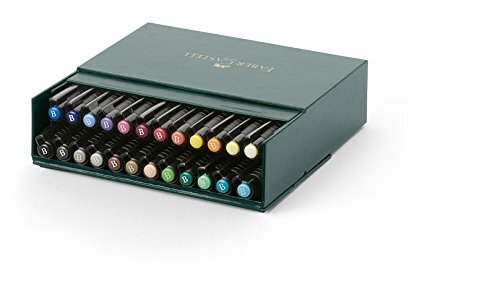 Get your Staedtler Triplus Fineliners here! 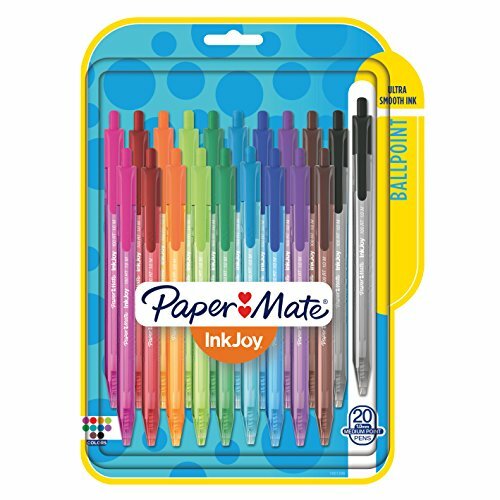 If you need some easy colorful pens for note taking then try these Papermate Inkjoy. They are super affordable and can be found here. Get your Paper Mate Inkjoy here! 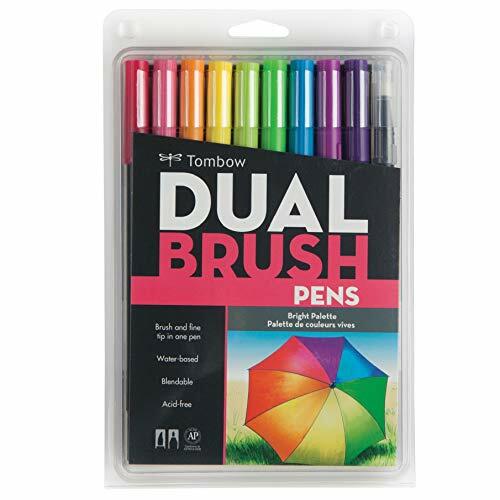 If you are looking for acid-free pens in your search for bullet journal pens that don’t bleed, then a great option for art journaling pens are the Tombow dual brush pens. 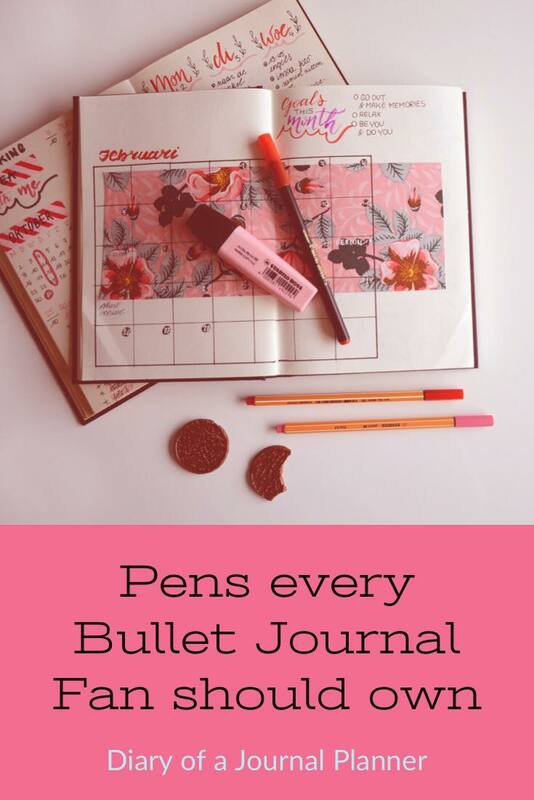 You will find a set of these pens in nearly every Bullet Journal fans collection. 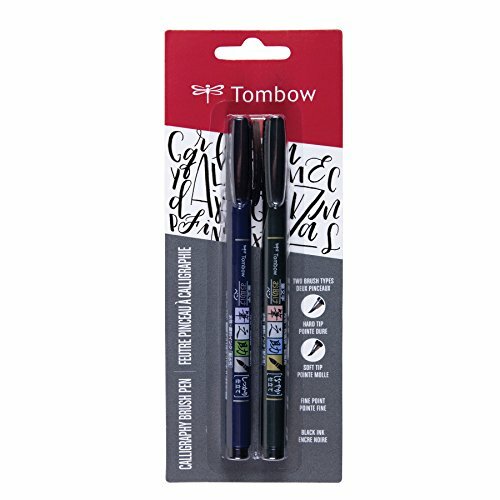 Get your Tombow set here! Looking for something extra special for your art bullet journal? Then the Faber Castell Pitt Brush Pens are amazing! Get your Faber castell Pitt Brush pens here! 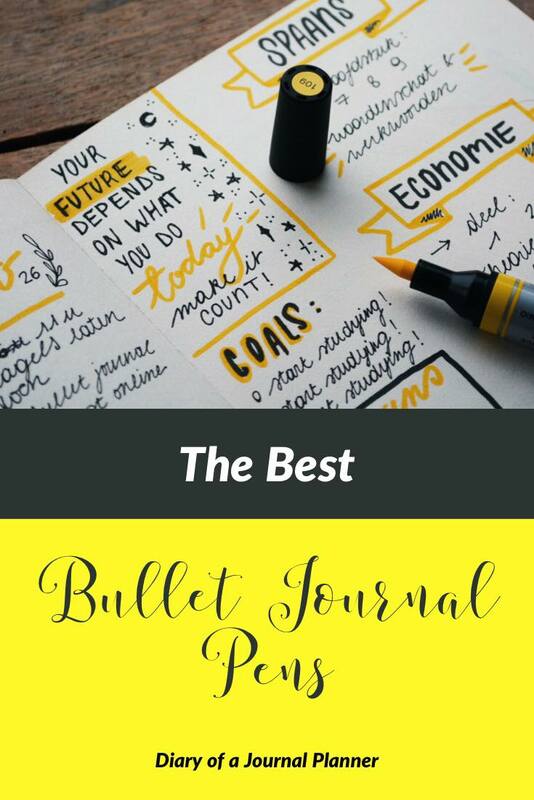 Bullet journal highlighters are essential for easy organization… plus it is pretty satisfying getting to mark off those to do lists with beautiful colored highlighters. These Zebra mildliners are dual tipped. Making them really versatile for your spreads. Check out the beautiful pastel colour range here. 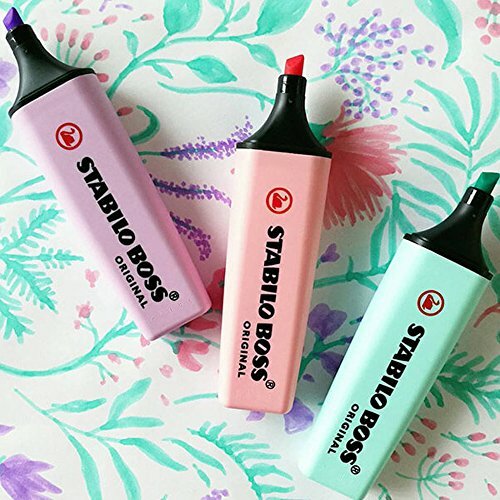 One of the best pastel pens are these Stabilo BOSS highlighters in gorgoeus pastel hues. The good news is that they aren’t expensive! Find prices here. Get your Stabilo Boss highlighter here! We all make mistakes. Don’t let it ruin your day or spread. Try these Pilot FriXion pens that are erasable! Find out more here. Get your Pilot Frixion pens here! 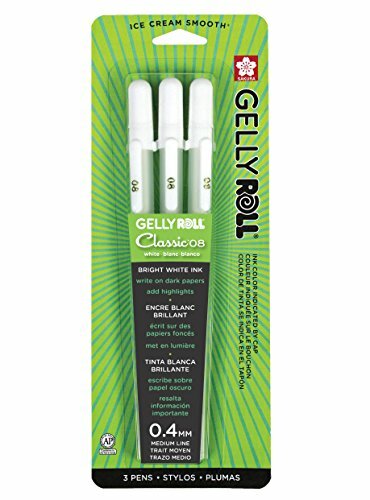 The Sakura Gelly Roll is the best white pen for art journaling. It’s easy to create some fun and different looks with these pens. Add them to your collection here. Get your white pen here! Another great set of pens that I like, which also includes a white gel pen, is the Uni-ball broad get pens set here! Get your Uni-Ball Signo Broad Point Gel Impact Pen set here! These are very good pens for details and highlighting. The flow of ink is very bright and generous so the whiter is not transparent at all. However, they don’t dry straight away! Give at least a few seconds for the ink to dry otherwise it will smudge your page. Did I miss any of your favorite bullet journal markers that don’t bleed? 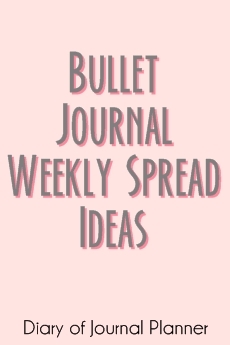 I am always looking for more amazing best pens to bullet journal so please let me know in the comments below. It worries me a little that I’ve only been bujo addict for less than six months and I already have at least eight of the above pens, all of which I love!